Sounds crazy, huh? 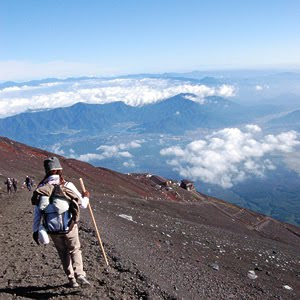 But Japan's highest mountain, at 12,388 feet, is a doable climb. Sure, you need to be of reasonable fitness, but in this case that pretty much just means having all your limbs present with a set of fully functioning lungs to boot. Thousands of Japanese people and tons of tourists take on this magnificent climb every year. However, be aware that the climbing season only lasts from the start of July to the end of August. Get to the top to witness a majestic sunrise -- provided it's not cloudy, in which case it'll be more of a foggy orange glow. As the weather gets colder, that travel bug is in the air, so check out AM's Top 10: Cool Cruises and Top 10: Little Italies. 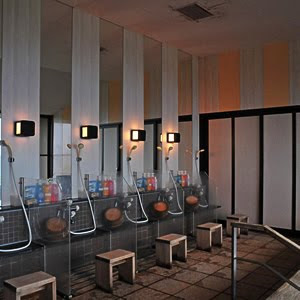 Going on a trip to Japan and taking a shower in your hotel room instead of hosing yourself down in an onsen would be like going to China and forgoing Peking duck in favor of a burger and fries. For many tourists, the biggest hurdle is the getting naked thing. Rest assured, it's nothing to be afraid of. Your fellow bathers are not interested in your wares; they're just there to relax, and that's what you should be there for too. So take a deep breath, jump into your birthday suit and head for the baths. Each one is usually a different temperature, so it's best to dip your toe in before fully immersing yourself in a pool full of water just short of boiling. If you're in Japan with your other half, it's worth spending some time in one of these places, whether it's for a two-hour “rest” or an overnight “sleep.” The buildings are, more often than not, dazzling in design, and the rooms elaborate in the extreme, equipped with toys, a big TV, video games and even, in some cases, a karaoke machine -- not to mention more mirrors than a disco ball. 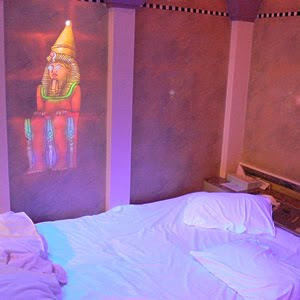 Discretion is the name of the game in a love hotel -- you'll not see a single member of staff the whole time you're there, even when you check in and out. 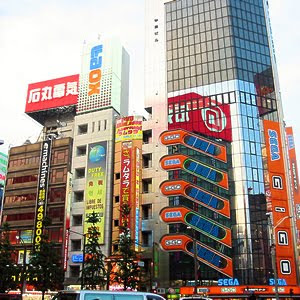 The nation's 25,000 love hotels are visited around 500 million times a year -- now that's a whole lotta lovin'. 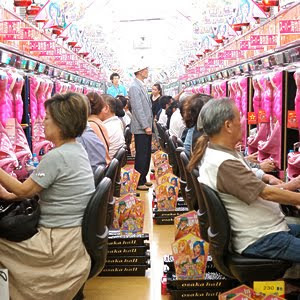 The pachinko parlor is where people go to relax. The noise and smoky atmosphere may not be everyone's idea of kicking back, but it's a pastime deeply entrenched in Japanese life and is worth a go at least once. Pay for some balls and then use the dial on the machine to send them into the field of play. If your balls go into the right hole, you'll trigger a go on a kind of slot machine. If you're lucky, you'll win more balls. If you're unlucky, you'll be 50 bucks down in a matter of minutes. When you have more balls than you can handle, you can exchange them for cash. If you love gadgets and electronics, you'll love this place in the country's capital. Brush shoulders with the nation's geeks and browse the numerous stores showing off the very latest in tech. Brand-new as well as used goods are on offer, and prices may well be more attractive than what you'll find back home. Many electronic items never make it out of Japan, so you might see some flashy new contraptions on display -- even if you're not sure what they actually do. There's nothing in the world quite like the experience of grabbing your dinner as it passes by on a slow-moving conveyor belt. 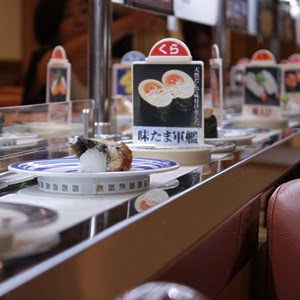 Welcome to the world of conveyor-belt sushi. Don't like raw fish? You'll see cooked items trundling by too, so there's no excuse not to partake in this quintessentially Japanese experience. Don't forget to be impressed by the chefs as you watch them speedily prep the food with knives that, with one false move, could easily carve up more than just fish. 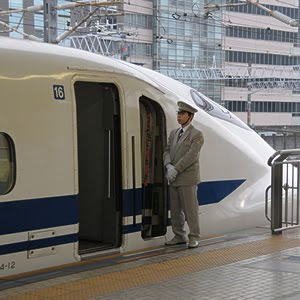 A train journey like no other: The shinkansen whisks people from one end of Japan to the other, and has been doing so since 1964 at speeds of up to 186 mph. It is the way to travel in Japan. With spotless cars and comfy seats sporting ample legroom, not forgetting the impeccable service (the conductors even bow on entering and leaving the car), you won't want to get off. Marvel at the timekeeping, too -- your train will arrive at its destination to the very second -- guaranteed. 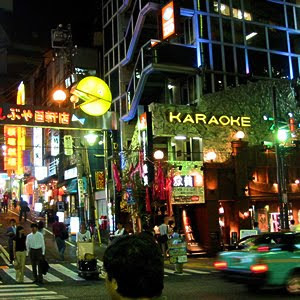 In Japan, karaoke is as popular as it ever was, with friends spending hours in little rooms with mics, big songbooks and loud voices. There are hundreds of English-language songs available -- old and new -- so choose a number, take a deep breath and step up to the plate. It doesn't matter if you sound like a cat in a washing machine; taking part is what counts. It's a great stress relief and far more addictive than you might imagine. Best of all, you're with your friends in a private room, so don't be shy! 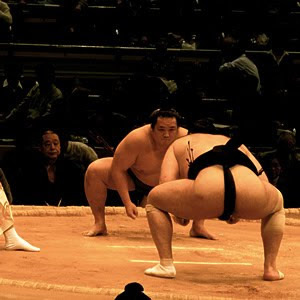 People often dismiss sumo as just a bunch of fat guys slapping each other about, but it's so much more than that. Go along to a bout and soak up the electric atmosphere while wallowing in the pomp and ceremony. The wrestlers may be a bit on the pudgy side, but the truth is that it's mostly muscle and they're far more agile than you might imagine. You'll quickly find yourself engrossed and cheering your man till he gets pushed out of the ring or slips up and slams into the ground. And when these guys hit the ground, you'd better hold on to your seat as there's a chance it might register on the Richter scale. Go on, give it a go. You'll either get laughed out of town or you'll get a smile wider than the island of Shikoku (and that's a really wide island), but at least you'll get a reaction. The Japanese love it when a foreigner has a go at their lingo. The main point to remember: Don't be afraid. Look in your phrase book and pick out a question. 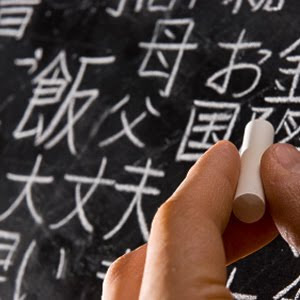 Sure, you probably won't understand the answer they fire back, but if you nod and smile then they'll think you understood and will probably heap nothing but praise on your outstanding language skills -- though, of course, you won't understand that that's what they're saying.